As you interact with the forum you will be awarded Coins, the currency in which you can buy more Characters, Items, & additional Moves for your characters. There are various ways in which you can gain coins, the simplest of which is just posting. For every IC post or major contribution to the forum you will gain 10, and for OOC replies you get from 2 - 5. There are also other activity rewards, such as rank ups awarding a lump sum, so you shouldn't have any trouble raking in the money as long as you're active on the site. Coins cannot be transferred between accounts or donated to other players. If a member does something particularly spectacular for the site they may be gifted bonus coins based on admin discretion. When gifted coins a small icon will appear at the bottom left of your browser. Once clicked the main page will refresh. Scroll to the bottom to claim your gift. We are very strict about the 3 Free Simultaneous Characters starter rule. If you want to have more than 3 characters apped at the same time then you will need to purchase an additional character slot at our Character Slot Shop. Once you have bought a slot it is yours forever. You can fill it with whatever character you please, and you may drop any character at any time and fill the slot with someone else whenever you want. To be easier for newer players to buy extra characters the 4th & 5th slot are less expensive: 1000 & 1500 coins respectively. Every slot thereafter is worth 2000 coins. You cannot sell character slots. Once you have bought a slot The Goomba has likely already used up your money for personal endeavors. While this site is first and foremost a roleplaying site, because we have a focus on combat, whether it be PvP or PvE, we have had need of a system in which to govern success and failure for actions in these fights; aka avoiding Power Playing & Twinking. This is accomplished by our dice and character stat systems. Everyone is encouraged to be as flashy and creative as they can be when writing up their posts and battling away, even using abilities in non-conventional ways in order to accomplish something. The dice rolls are secondary and are merely a representation of how well said thing is accomplished. Modifiers, in the stat system, provide a buffer or hindrance in addition to the random dice roll that is the representation of that character's base skill at doing whatever it was the roll was for. When using the dice remember that getting a high roll doesn't necessarily guarantee you gleaming success, as it is worthless without the flavor text that the roll was for. If the character is running head first into an penetrable wall, just because they rolled an 18+ doesn't mean they won't end up with head trauma from the attempt of something silly. The result of any action is, of course, left up to the discretion of the GM. The default BBC to use the dice is either ' roll=#dS+M ' or ' proll=#dS+M '. If you want to have the result of the dice visible in the 'Preview' tab while writing your post you want to use ' proll ' (short for preview roll). If you just use ' roll ' the result of the dice will not be visible until after you post. **Capitalizing the 'd' will break the dice. Some spell checkers will force the 'd' into a 'D'. If you find this is happening to you then please use the alternative notation for the site roller: 'roll=S+M' or 'proll=S+M'. In this case the 'M' is necessary even if it is 0. This means you cannot roll multiple dice in one go, but this forum does not typically make use of that function. *Note that when previewing any modifiers will be combined with your roll, but when posted it will display as seen above. There are buttons in the WYSIWYG for both the 'roll' and 'proll' BBC; and respectively. Dice are used on the forum for whenever a character needs to use a skill/ability or just in battle in general. It is always a 20 sided die unless it's a specified different in a character's move, save for when determining % chance of some effect; at which time you could use a d100 if you don't want to translate d20 values. When facing off against other characters and enemies the higher number always wins. Should there ever be a tie, the character with the higher modifier applied to the natural dice roll wins. In the case of a critical attack versus a critical dodge, the dodge always wins, and could be the one exception to the higher modifier winning rule. In Classic Mode pretty much anything goes, with fighters going head-to-head or teaming up to complete a series of challenges and missions. There are two types in this mode, CLASSIC and CLASSIC MISSION. CLASSIC is more for PvP players while CLASSIC MISSION leans toward the PvE crowd. BE WHO YOU WANT! Within the normal Li rules... and play how you want! If you have exceeded 100 posts, you can click here to find the rules. Anyone can join and make missions, posting them in the Sunshine Circle using the provided template. Note that threads marked 'Open' or 'Free' are not missions. If you do post your own mission please keep track either in the title or thread description field whether the sign up is 'Full' and when the mission is 'Completed' so it can be archived. Some missions require higher ranked characters. Ranks are determined separately for every character and are detailed below. Each character is allowed to be in no more than 4 simultaneous missions to begin with. In addition to that, members, as handler of their characters, cannot run more than 6 simultaneous missions. Unless given special ability by a staff member. For every 3 missions completed the character is awarded a new Primary or Special move. You may be able to get a move quicker based on your intelligence modifier. If your character has a modifier of +2 or higher they will be able to get moves 1 mission faster. Similarly, if they have a -2 (or lower) it will be 4 missions before they're able to unlock a new move. Winning a stadium battle (see Battling Section) will also grant you a similar reward. Once you have chosen the new move and have added it into the character profile and/or their respective Smash Journal, please notify an administrator so they can approve it. For characters that use Minions, the Intelligence score used to determine Move Gains is the Master/Trainer/Summoner's; not any of the minions. Similarly, for characters with transformations that have different INT scores it is only the base form who's INT matters for gaining new moves. Fifteen posts is the absolute minimum that a valid mission can be. As well, when all is said and done your character needs to explicitly state that they are out of the thread. Mission rewards listed in the sign up topic is what everyone receives; no splitting. The rewards for completing the mission is determined by the mission creator. When the mission is completed and everyone has left, please go HERE to collect, record, and finish your missions so that the mods can witness your work and then update your Smash Journals. Mission creators also gain 50 coins upon the end of their mission, however, if they have one of their own characters involved they may chose between the item reward or the coins, they can't take both. By completing missions characters can earn rank titles that grant bonus rewards as a sort of 'leveling up' progress. The higher rank they are the more difficult missions they are expected to partake in; which in turn means higher risk, but should be greater rewards. Eventually a character could become a legend of the Life Sphere, earning special privileges and the adoration of all their peers. Leader +5% HP ... Allowed 6 Simultaneous Missions ... can qualify for District Mayor Position. Choose 1: Learn a new final smash, Companions gain a new primary and special attack, Companions gain +2 stat points to spend, you gain 1 rare item from the of your choice from the Unique Items List. Brother +5% HP ... Badge ... Allowed 8 Simultaneous Missions ... can qualify for Chancellor Position. Choose 1 of the options from Rank 12 again. Can Create Missions in Essence Extraction Point! If there is ever a vacancy in the life sphere leadership for any reason, your character will be eligible to fill it at the staff's discretion. *Note: Regarding the +2 Stat Pts... That is for all non-companion/minion characters, for example all of a trainer's pokemon, the trainers themselves and both duo charactrs. Each. First we are going to explain The Basics Of FIGHTS. 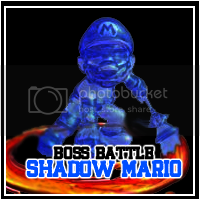 Player Post 1: Mario uses a fire ball on the infected, then smashes it with a powerful punch! MM Post 1: The enemy takes some decent damage, but survives by a hair. Player Post 2: Mario uses another fire ball then a vicious mario tornado! MM Post 2: The player successfully defeats the enemy! And of course if the battle is multiple enemies, the same rules are applied, you just add more enemies, simple enough? Now hopefully you got all that you awesome Mission Maker you! And always remember to do things in that EXACT format. Then from here, you make sure that the boss takes QUITE a few posts to kill, remember bosses are stronger than the typical enemy, and do NOT make them die that fast, make them rather difficult to kill. And from there it's just easing into the setting as the topic participants go with what the Mission Maker writes. Remember, the Mission Maker is the trend setter, they set the setting and the tone for the other roleplayers to follow, AKA the Mission Maker makes a lead, and the RP'ers follow it until they complete the mission. It's ok to drag topics on a little bit, but remember, as a Mission Maker, don't totally make missions super long for RP'ers, a couple pages would be fine at the very least until you let them complete the mission. As for enemy encounters, wait til at least a few posts by the roleplayers to make enemies appear for battle. Now you may ask how you go about determining battle. Well, normally it is not required but most people use DICE ROLLS to determine battle flow. When you are using Dice, each attack is rolled for with the proper modifier by use of one of the dice buttons at the top of the box. The strength of the attack and how hard it is to dodge is determined by this number. For all dodge rolls unless specified otherwise, a roll with your Dex Mod. Normally you must roll a higher dodge roll than the attack. Alternatively you can choose to lessen damage with your CON instead of full out dodging. Some attacks may attack other mods instead of DEX but this is rare. You may attack as many times as you want in a single turn, however keep in mind that our auto dice roller on this site will be a lesser roll the more times you roll in one turn, this is to prevent cheating. Mario's Turn: p_1d20+3 Mario was able to quickly shield his ears from the screech and take no effect. Mario's Turn: p_1d20+2 Mario puts his arms in front of him to take the hit and only comes out with a few scratches. You may only dodge OR defend one time for each time an opponent rolls to attack you. Naturally your roll has to be higher to dodge. And remember your dodging is DEXTERITY rolls and Defending is CONSTITUTION rolls. Another thing that may happen is getting afflicted with an ailment. Let's say Mario did not dodge the screech and it has a 30% Chance of Paralysis. If Mario rolled a d100 instead of a d20, his number would have to be 31 or higher to remain fully movable. Otherwise he will need to roll a Con roll to see how long he is afflicted and take a -2 penalty to his speed. p_1d20+2 A roll like this would last about 6 turns or so. One last thing you may need to constantly know is Grapples. If you are Grappled you need to roll a STR Roll higher than your opponent's STR Roll to break the Grapple. Similarly, your opponent must roll a STR Roll to maintain their grip. Let's say Mario has +2 STR. Mario: p_1d20+2 Mario could not break free of the Redead's grip. If Mario rolled higher he could of escaped the nasty bite that would probably follow. In the case of a tie, the character with the higher stat wins. Say Redead has 17 STR and Mario has 15 STR and they both rolled 8, Mario would remain trapped anyway due to him not being as physically strong. AND NOW, CONGRATULATIONS! YOU'RE NOW AN OFFICIAL SMASHER FULL OF WISDOM! Most PvP will occur in the Sunshine Stadium, as Missions tend to be collaborative unless it's one with Villains thwarting Heroes (or vice versa). When facing a player inside the Stadium, battles must be refereed by a mod. On the occasion a battle happens outside the Stadium the same 'win rules/rewards' apply, but it isn't necessary to alert an admin to referee the bout. The winning character(s) are rewarded with the ability to add 1 primary or special attack to their profile if it is their first time winning a PvP match. If not then it's every 2 victories. Please be sure to keep track of your character's health during missions. For how to battle in Sunshine Stadium please Click Here. Initiating: User makes a roll based on the type of grapple, ranged (WIS) or physical (STR). This will cost 1 Combat Action. Outcome: The opponent may attempt to dodge or resist the grapple (this will not cost a Combat Action), if they fail though they only get one chance to break the grapple (this will cost a Combat Action). From this point forward, the opponent cannot dodge or use their Bubble Shield until the grapple is broken. - The opponent is still capable of attacking the user and if they manage to land an INT targeting attack or an attack with knockback, the grapple will be broken. - The user must make a grapple roll every turn in order to maintain the grapple, this will cost a Combat Action. - After the first turn of grapple, the opponent can use all of their Combat Actions to attempt to break the grapple. Every roll that the opponent makes to break the grapple that is 10 or higher will give the user a -1 Modifier to their current and next grapple roll. - If the opponent takes 40% damage or more while they are within the grapple, the grapple is broken. - The damage done to an opponent takes priority in the opponent’s turn, thus they may not make an attempt to dodge or block if they break the grapple on their turn since the damage has already been done. 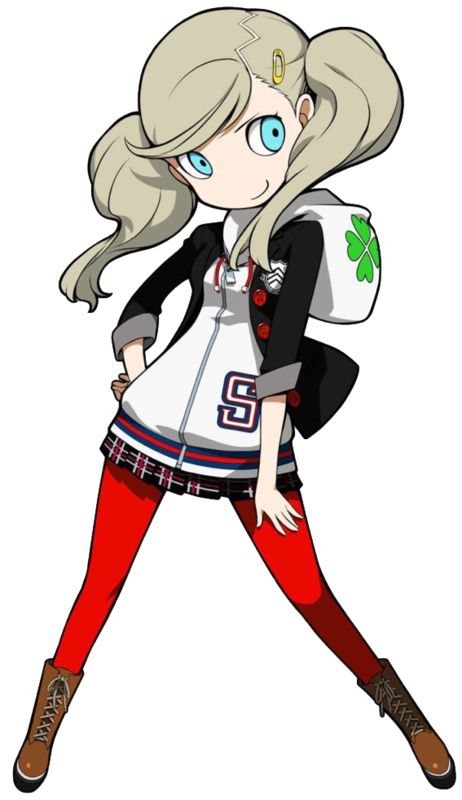 - The opponent may still be able to resist attacks that target specific stats such as INT, WIS, or CHR. - The opponent’s move set can be limited based on the type of grapple (such as the opponent being limited to ranged attacks against the user when put into a ranged grapple). You do not need to find a smash ball to use final smashes, but you can only use it once per topic unless you have a rare/unique item that specifically refreshes your FS; such as the Music Box. Even if your character has multiple FS's, either due to a special item gain, a Transformation, or because the character has several Pkmn/Minions, only 1 FS can be used in the topic. FS's always hit; aside from some truly outrageous/impossible uses, such as trying to target something securely out of reach or without even knowing/being able to see where the target is. They also cannot crit. Therefore there is no need to roll for them. As long as the fluff is viable they cannot be dodged or blocked by invincibility items/abilities and/or shields. Attack FS's consume all combat actions for the round. Like any good Smash Brothers game there are boss battles to partake in. If you're in a more dangerous area, which are the areas closer to the extraction point, there is a higher chance you'll hit a powerful boss. There can be boss encounters close to Life Sphere Central as well but they may not be infected and are likely not as powerful. It is always recommended that if you wish to go deep into an area you travel as a team and work together. Bosses are allowed to be stated beyond the normal restrictions for Players & Normal Enemies due to their nature of often squaring up alone against multiple player characters. If you would like a boss to appear in your thread you could either request an Admin or Life Mod to insert & run the encounter of a random boss appropriate to the area of the mission, or you may create your own and run it as you normally would as a Mission Creator. Note that typically Boss Stats cap at 30 in any discipline and their Base Stats start at 12 with 12 Pts to distribute. This is a rough outline that you are more than welcome to deviate from as you deem appropriate for your mission/boss; though it is recommended to let no stat go above 30. Bosses also typically do not follow the same HP rules as Players, instead getting a flat amount somewhere in the 250% - 300% range. They also get a bubble shield and may have unique abilities to aid them in battles. Characters in the SSB Univers usually don't 'die' outright. Upon sustaining damage up to their HP threshold (see Character Stats) or reaching Zero HP, however you prefer to keep tack, they revert into a trophy form that is a sort of stasis preventing them from suffering further harm. Trophified characters cannot bring themselves back, unless otherwise permitted by special items such as the Dedede Brooch, and will be in just as bad shape if they are freed, requiring healing to truly rejoin the fight. A characer who remains trophied by the end of a mission or thread outside of a stadium match is put Trophy Chest, at which time they are unable to join new missions until they are rescued and/or brought to the Lightweather Hospital. Note that this just prevents new missions from being joined, existing missions may still be posted in with the character. This means that if your character is trapped in a collapsed cave, swallowed by a monster, kidnapped, or there's some reason the party is unable to bring the trophified character back home upon mission completion/failure, then that character will require a follow-up mission to be rescued. If a status ailment is not guaranteed (% chance), you must make a % roll (d100) first in order to determine whether your character is afflicted. If that roll is lower than the % chance listed on the move then the character becomes affected by the status alteration. You then make a d20 roll to check how long the character is afflicted. The number of turns is based off of the first application; effects cannot be reapplied until after the current effect period is over. The victim loses control over their actions. They are forced to spend at least two actions each turn attacking, even if they are entirely alone, and must roll a natural 7+ on a d20 when making attacks to avoid mistaking one of their allies (if they have one) for an enemy and having their attack target that ally instead. While berserk, the victim suffers a -2 to perception rolls and gains a +3% to damage rolls. The victim cannot see anything around them properly. Therefore they cannot attack, dodge or bubble shield without first making a perception roll to identify enemies/incoming attacks. Causes damage (1%) over time and their STR modifier decreases by 2 for its duration. Anyone who is burned can be cured with water, or wait 3-8 turns depending on their Constitution roll. The target is crippled, preventing them from making the most of their abilities. A single stat is 'disabled' by this status. The target will suffer both a -7% damage penalty an -3 roll penalty when making attacks with that stat. The victim's courage and resolve waver as the result of extreme fear, shock or disgust. Usually as the result of failing an intelligence based bravery check. The victim suffers a 5% damage penalty and -2 roll penalty to their intelligence, wisdom and charisma reflecting the deterioration of their mental states. Horrified lasts until the source of the horror is removed or a bravery check is met. Causes a daisy to grow on a character's head and drains the life out of them slowly, inflicting minor damage over time. The damage can become greater when they are hit by the Lip's Stick weapon (1% at smallest size, increasing by 1% for every growth after that). This tiny flower will pop off their head after 3 turns. Encases a character in a large chunk of ice, immobilizing them. Within the Sunshine Stadium it instead decreases their DEX modifier by 2. In order to break free they must succeed a Strength roll of 12+. If they have or are hit by a fire based move they can thaw themselves out instantly. If all else fails, the ice encasing them will shatter after they have taken 25% damage. The victim cannot speak or take any action that would require them to speak. Persuasion rolls will be assumed to fail unless the GM is satisfied with the victim's attempt at getting around their condition. This is a status effect dealing with when a character is inflicted with a grievous wound that is unusually difficult to heal, or perhaps by a curse that interferes with the body's ability to heal. This status lasts for 3 turns, during which any healing the target receives is reduced by half. The target is burdened by love for 3-8 turns based on an INT roll. To end the status prematurely, they can roll INT once a turn against a value equal to 12+(The Charisma Mod of the person they're infatuated to. While infatuated the victim suffers a -3 penalty to rolls against persuasion attempts by the character that afflicted the status. Additionally, they deal 10% less to the character in question and 5% less damage to other characters. This is explained as the character being hesitant to go all out against the target or somewhat distracted respectively. Mega is the term used for when the character grows in size when using items such as the Super Mushroom. This gives them a larger hit box so it is a bit more difficult to dodge attacks. The character's CON modifier increases by 2 and increases all damage output by x1.5 (or 50% more, all such calculations will be rounded up). Lasts for 3 turns, though if they get a Mini infliction on them they return to normal. The Metal effect is caused by a character using the Metal Box item. During this the user becomes solid steel, which removes their ability to speak. It will boost the user's CON modifier by 2 and in return makes their DEX modifier decrease by 2. In addition, all of the user's moves will do 1.25% more damage and will take a quarter less (or x0.75) damage from enemy attacks. This form lasts for 3 turns, but if they are hit by a fire based attack it will last 1 turn less. This is a status effect dealing with when a character's mind is being suppressed, such as by psychic attack or perhaps certain varieties of poisons, or even just being intoxicated. The practical effect is that it impairs the victim's ability to think straight and react to the world around them, reducing their DEX and INT modifier by 1. They must make an INT roll in order to determine how long it will last. Mini is the term used for when the character shrinks in size when using items such as the Poison Mushroom or hit by the Lightning Bolt. This gives the user a smaller hit box, which means that they will be much harder to hit. The character's CON modifier decreases by 2, however, their DEX modifier increases by 2. In addition, all the user's attacks do half the damage. Lasts for 3 turns, however, if they are affected a Mega infliction onto them they return to normal size. Sometimes known as "Bleeding" or "Bleeding Out", but does not necessarily imply blood. The victim suffers 4% damage per turn. This status can only be removed by healing the victim for a cumulative amount greater than the attack that inflicted this status. Causes a character to become less agile, whether it be inflicted by electric based attacks or alien spit. When paralysis kicks in the character must make a CON roll to determine how badly they are affected. In any case, their DEX modifier is decreased by 2. When afflicted by poison the character will be dealt damage over time. The damage is slightly more effective than that of a burn (4%). They must make a CON roll in order to determine how long it will last. Whenever an organic character is feeling ill. Not the same as being infected by the Starvia. This decreases CON and STR modifiers by 1. The infected must make a CON roll before hand to determine how badly they have are affected. When a character has been put to sleep they become immobile. In the Sunshine Stadium they instead become drowsy which decreases their WIS and DEX modifiers by 1. In order to fully awaken they must be hit (sleep only; not drowsy) or succeed a Wisdom roll of 14+. A character is slowed down primarily when the Timer item is used. Their Dexterity stat halved for 3 turns. The victim is soaked with water or some other water-like liquid. This lowers their DEX mod by 1 and gives them a 5% damage vulnerability to cold and electric attacks, but also grants a 5% damage resistance to heat based attack, which will cure this status. The victim is hit by an attack strong enough to cripple their ability to react to a followup attack, preventing them from reacting to the next attack that comes their way. Usually only lasts 1 turn, and is cured once they are hit. Depending on the context of why they're suffocating, set a condition for their escape from this status. The victim takes 5% damage each turn while afflicted. This damage doubles each time the victim makes a roll that does not free them from whatever is suffocating them, up to a maximum of 30% damage per turn. Only applies to synthetic characters, in the same sense that sickness only applies to organic characters. In this case the character's INT and WIS modifiers decrease by 1. The inflicted must make an intelligence roll before hand to determine how badly they have been afflicted. You get items for completing missions, or other players may decide to give you an item while roleplaying a mission. Note that mission reward items should make sense in context of the area that is being explored. No mushrooms in the Meteor Field for example. You do not have to use items right away; you can save them for later. Items are single use unless specially indicated. If you have an overtime item like a beam sword or a blaster gun then you may use it several times, but it has to break at some point. For a complete list of items visit the Item Index. Due to being able to claim characters that are, in the SSB series, assist trophies there is a new technology on Li thanks to Professor E. Gadd and Samus that allows a robotic duplicate of fighters and characters to be formed into assist trophies throughout the land. So potentially, someone like Shadow for example, can use an assist trophy of himself because the trophy version that is being summoned is a robotic replica with life essence that can perform an attack and then vanish after expending its energy.